Howard's career was anything but consistent. For every successful play he wrote, he saw several others close without making any money. His saving grace was that he was a remarkably prolific writer. Lucky Sam McCarver, his next play, was an unsentimental account of the marriage of a New York speakeasy owner on his way up in the world with a self-destructive socialite on her way down. It failed to attract audiences, though it won the admiration of some reviewers. With The Silver Cord, Howard had a major hit. A drama about a mother who is pathologically close to her sons and works to undermine their romances, it starred Pauline Lord and was one of the most talked-about plays of the 1926-27 Broadway season. It was a story for a decade fascinated by talk of Freud, Oedipal complexes, and family dysfunction. The Silver Cord is also the only original play by Howard to outlive its era. (His 1929 adaptation S.S. Tenacity is periodically revived.) The play was occasionally staged by regional theater companies through the late twentieth century, and its first Off-Broadway production was mounted in 2013. The 1933 film of the play starred Irene Dunne and Joel McCrea. By 1930, Howard was "one of the most dashing figures on the Broadway scene." A prolific writer and a founding member of the Playwrights' Producing Company (along with Maxwell Anderson, S.N. Behrman, Elmer Rice, and Robert Sherwood), he ultimately wrote or adapted more than seventy plays; a consummate theater professional, he also directed and produced a number of works. Hired by Samuel Goldwyn, Howard worked in Hollywood at MGM and wrote several successful screenplays. Despite his well-known left-wing political sympathies (he supported William Foster, the Communist Party candidate for president, in 1932), he became a shrewd Hollywood insider. In 1932, Howard was nominated for an Academy Award for his adaptation of the Sinclair Lewis novel Arrowsmith and again in 1936 for Dodsworth, which he had adapted for the stage in 1934. He wrote a screenplay as well for Lewis's most political book, the anti-Fascist novel It Can't Happen Here. The film was never made. (Studio officials claimed production-cost issues, but Howard maintained that the politics of the script was the issue.) Sinclair Lewis was a great admirer of Howard's stage work and was pleased with his three film adaptations, and the two men (whose political opinions aligned) became good friends. In 1935, Howard wrote the Broadway stage adaptation of Humphrey Cobb's novel Paths of Glory. With its unsparing depictions of battlefield brutality, the play failed at the box office. As a World War I veteran, however, Howard believed it necessary to show the horrors of armed conflict. Convinced that the novel should be filmed one day, Howard wrote, “It seems to me that our motion picture industry must feel something of a sacred obligation to make the picture.” The film version of the novel, directed by Stanley Kubrick, did not appear until 1957. Howard's screenplay for Gone with the Wind echoed Paths of Glory with an unflinching look at the cost of war. 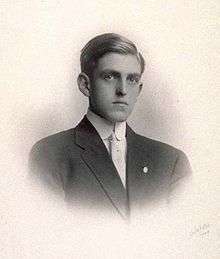 Howard died in the summer of 1939 at the age of forty-eight in Tyringham, Massachusetts while working on his 700-acre farm. A lover of the quiet rural life, Howard spent as much time on his farm as possible when he was not in New York or Hollywood. He was crushed to death in a garage by his two-and-one-half ton tractor. He had turned the ignition switch on and was cranking the engine to start it when it lurched forward, pinning him against the wall of the garage. "His death was a Broadway calamity," Atkinson wrote. "Broadway and the Playwrights' Company lost one of its most admirable people...in the midst of an active career and full of ideas for more plays." In his 2007 history of Broadway playwrights, Ethan Mordden wrote, "When he found his metier, Howard excelled at edgy American stories about charismatic but somewhat unlikable people. He seemed to enjoy testing his public; or perhaps he simply saw the world as being filled with rogues...."
↑ Howard's marriage to Eames is chronicled in detail in Arthur Gewirtz. 1 2 Atkinson, p. 270. ↑ Mark Schorer, Sinclair Lewis: An American Life (New York: McGraw Hill, 1959), pp. 574, 614, 616. ↑ Ethan Mordden, All That Glittered: The Golden Age of Drama on Broadway, 1919-1959 (New York: St. Martin's Press, 2007), p. 87. ↑ Literary Prizes and their Winners. Qureshi Press. 15 March 2007. P. 71. Print.